With the modification of the Bot Shots Optimus Prime launcher I’ve created a new mold of the sides to look like Ultra Magus’s trailer. 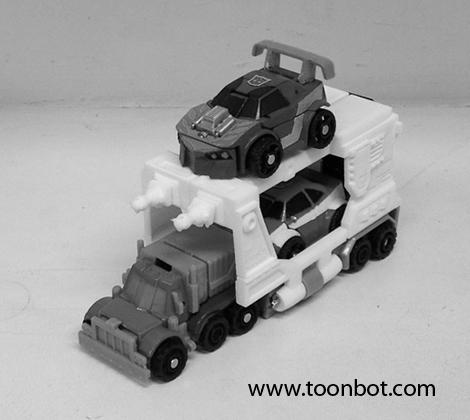 It holds two Bot Shots vehicles one on top and one inside. Just like the original G1 Ultra Magnus the rockets unpeg from the trailer and peg into the side of the figure’s arms with a minor modification. 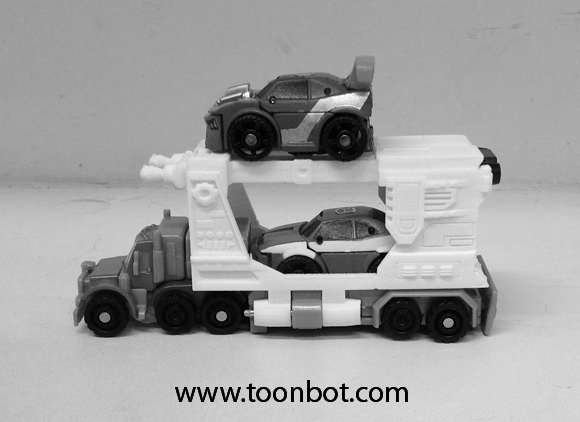 Detail found on the side of the trailer is identical to the detail found on the G1 Ultra Magnus trailer. The custom trailer still has all the functionality as the original launcher; attached/detach truck from trailer, sides flip down/launching mechanism fires when you press down the black piece/bumper in the back. 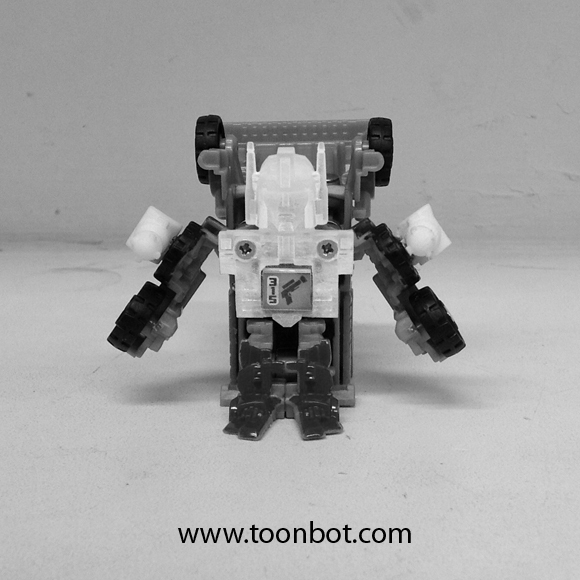 This entry was posted in Bot Shots, Custom and tagged autobots, bot shots, custom, Hot Rod, launcher, smokescreen, truck, ultra magnus. Bookmark the permalink.